An odd argument against weekly Communion | who am i? I believe I could make a strong biblical case for weekly communion, but that’s not my goal in this post. I simply want to briefly consider this particular objection. What makes it seem like such an odd argument to me is that those who use it only apply it to communion. I’ve never heard anyone say that if we sing or preach or pray every week, then those actions will lose their meaning. Shouldn’t the same logic apply? I don’t mind if you want to make a biblical argument against weekly communion, but I just can’t see how this objection holds any water. I would have to agree. I can’t think of a single good reason not to remember Christ (Luke 22: 17-20) and proclaim his death (1 Corinthians 11:26) every week, which–based on those two passages–is the very purpose of celebrating communion. Perhaps for this person, communion never had much ‘meaning’. Unfortunately, Christiane, I’ve heard more than one person say it. Seriously, this sort of sounds like an excuse from someone who doesn’t want to bother with it. wken, there are some who don’t want to bother with it. Part of the problem, for many Baptists at least, is that communion has been reduced to nothing more than a nice symbolic gesture that you can take or leave. I may address that in another post. I’ve heard the argument that each time we eat or drink as Christians it should be communion for us. I think the root problem is not really communing with God. That needs to be our goal as Christians. The minutes long ceremony however often it takes place is a small part of the constant relationship we need to be seeking. Distraction from that is a major problem which will disapear in heaven and not until then. Nice thought provoking topic!!! Good point, Candace. Constant communion with God is exactly what we need, and yet so hard for us, in our human weakness, to maintain. We should be thankful that God has given us such a simple and yet profound way for us to remember and celebrate Christ’s sacrifice every time we gather! 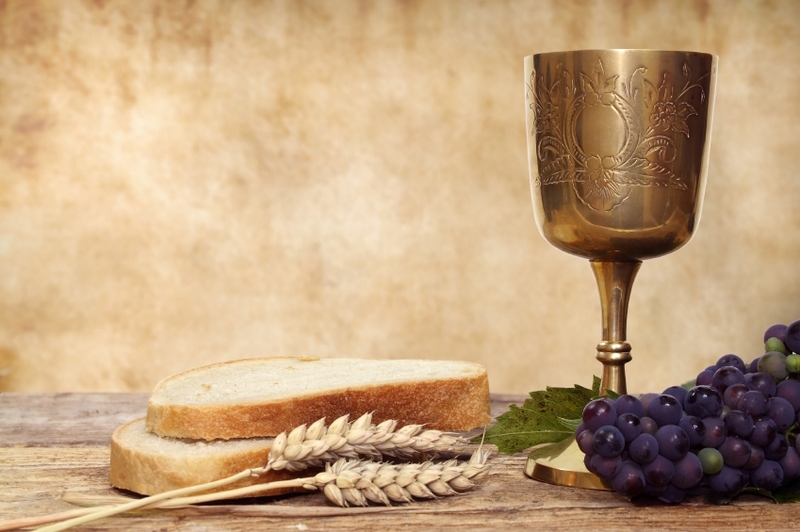 So why should we celebrate communion every month? I mean, if we do it that often it might become meaningless. For that matter, why should we do it every year? Do it too often, and it might lose its meaning. God uses in very particular ways and commands us to do. You’re right, Jeremy; the objection is flawed regardless of the frequency of observation. My main point here, though, was that the objection, applied only to communion and not the other elements of weekly corporate worship, is oddly inconsistent. I also agree that the Zwinglian view of communion doesn’t necessarily lead to devaluing the observance, although I do think that Calvin’s view of communion (and baptism and the preaching of the Word) as a “means of grace” is the more biblical view. 🙂 I’m sure you’re acquainted with Calvin’s view, so I’m including the link to this article by R. Scott Clark more for the benefit of other readers than for yours. In the final analysis I’m not as concerned about how someone might view communion as I am about obeying the command to celebrate it “when you come together” weekly. As a committed Zwinglian, I would argue that communion is a means of grace. I just don’t think anything metaphysical is going on with it, and Calvin wanted to retain the Catholic idea of something metaphysically special without resorting to identifying it with Christ’s literal body and blood. I see no reason to divide along these lines, though. I don’t think it needs to have much impact on practice. It would be sad to divide over something designed to unite us as one body in Christ, wouldn’t it? I’m afraid that happens far too often, though. Thanks for visiting and sharing your thoughts, Jeremy. Right on, Barry. For many years I’ve believed we should practice communion at least weekly. When I shifted to a more Gospel-centered theology, this conviction deepened. I find it strange that none of the Sovereign Grace churches I attended practice weekly communion. Seems like it would be a good way to encourage cross-centered thinking. In the Lutheran churches they serve communion at every Sunday service. Good move on their part. Communion is a perfect cross-centered way to respond to a cross-centered message, and that’s just how we conclude our service each week. Hi – I’ve just found this blog and so far I’ve enjoyed it. I’ve given a lot of thought to communion and my argument isn’t about how often we should take it, but HOW we take it. It really bothers me so see people in churches either line up to get some bread and take a sip of wine from the people at the front or they all face forward while ushers pass around tiny bits of bad bread and little glasses of grape juice while the music is playing. This is so completely opposite to the example that Christ gave to us, that it blows my mind that we think it’s ok! Jesus sat with 12 of his closest friends in an intimate setting over a meal. Just the word, COMMUNION, implies community, coming together, breaking bread with those close to you and sharing your hearts. I think it could change the whole world if we did THIS kind of communion on a weekly basis! Hi, Dani. Thanks for visiting and sharing your thoughts. I think you make an excellent point. I would probably say that how often we take communion and how we take it both matter. Thanks again! It’s an odd discussion since we aren’t prescribed in Scripture how often we are to partake of the Lord’s Supper. Hey, Mike. It’s true there isn’t a specific command to take communion weekly, although that seems to have been the practice of the early church (Acts 2:42, 20:7; 1 Cor. 11:20-21). The same is true of meeting weekly, or preaching weekly; there are no direct commands in Scripture to do either, but it seems apparent that the early church did both. We don’t think it’s odd to discuss meeting weekly or preaching weekly, and we shouldn’t think it odd to discuss taking communion weekly. Good post. Been enjoying your blogs. Some related thoughts on the Lord’s supper. Enjoyed your article, Rick. Thanks for the link. Good thoughts. Thanks for sharing! Thanks for the link, Rick. Good article.